Leading Manufacturer of hdpe narrow mouth bottle, hdpe wide mouth bottle, hdpe side handled bottle and hdpe wide mouth square agro bottle from Mumbai. 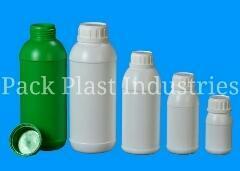 HDPE Emida Shape Wide Mouth Bottles With Caps & Plugs are available in wide range, 100 ml, 250 ml, 500 ml, 1000 ml. 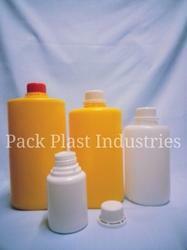 HDPE Square Wide Mouth Bottles available with Seal caps. Available in wide range 100ml, 250ml, 500ml, 1Lit. 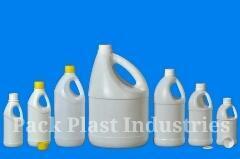 Looking for HDPE Chemical and Pesticide Bottle ?